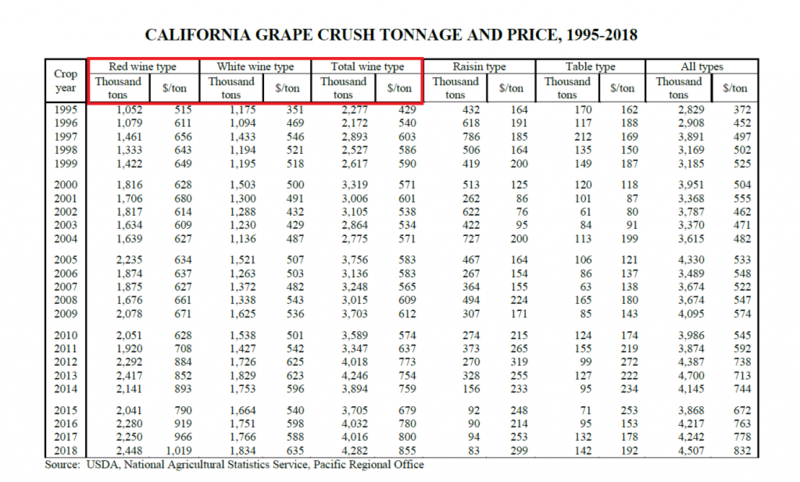 Red wine varieties accounted for the largest share of all grapes crushed, at 2,447,930 tons, up 8.8% from 2017. 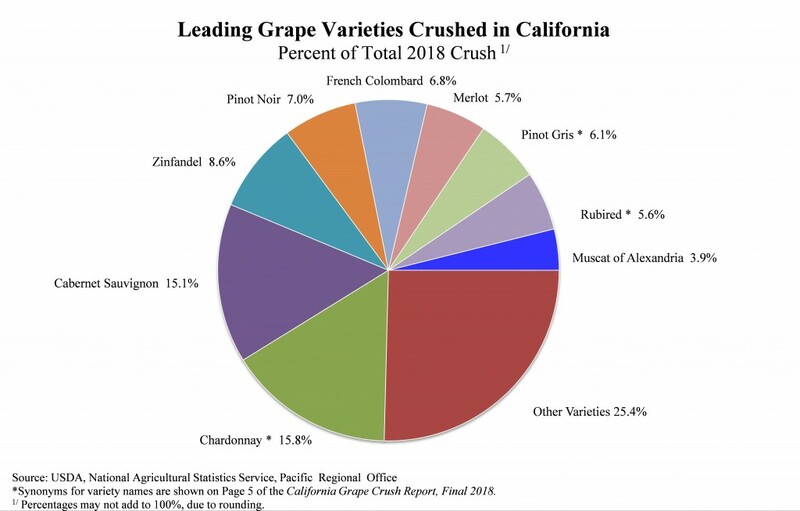 In 2018, Chardonnay continued to account for the largest percentage of the total crush volume with 15.8 percent. Cabernet Sauvignon accounted for the second leading percentage of crush with 15.1 percent. 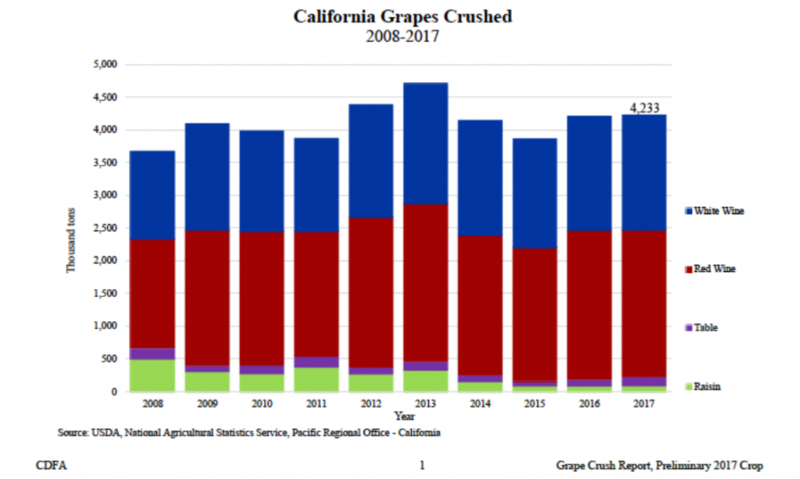 Grapes produced in District 4 (Napa County) received the highest average price of $5,571.44 per ton, up 6.6 percent from 2017. District 3 (Sonoma and Marin counties) received the second highest return of $2,817.92, up 0.3 percent from 2017. 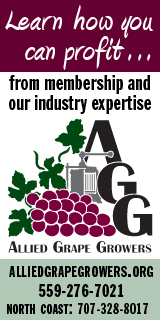 The 2018 Chardonnay price of $970.76 was up 5.1 percent from 2017, and the Cabernet Sauvignon price of $1,683.25 was up 8.3 percent from 2017. 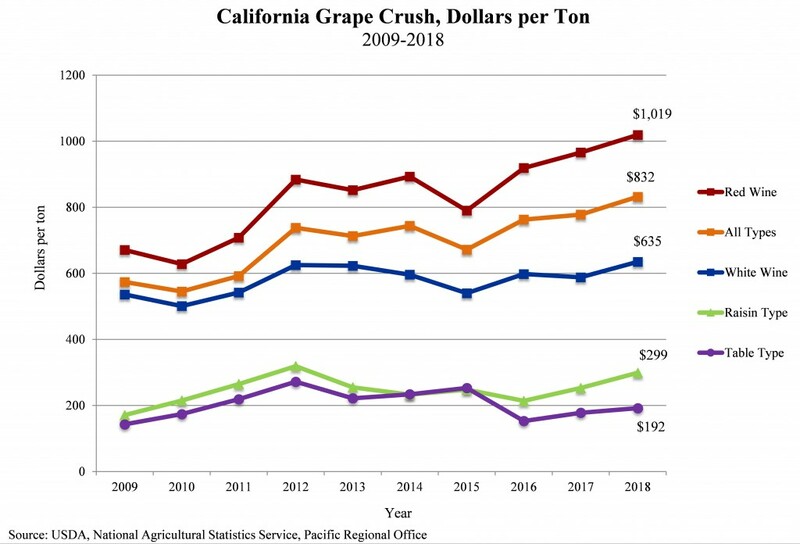 The 2018 average price for Zinfandel was $600.21, up 1.5 percent from 2017, while the Pinot Noir average price was down 0.9 percent from 2017 at $1,674.62 per ton. 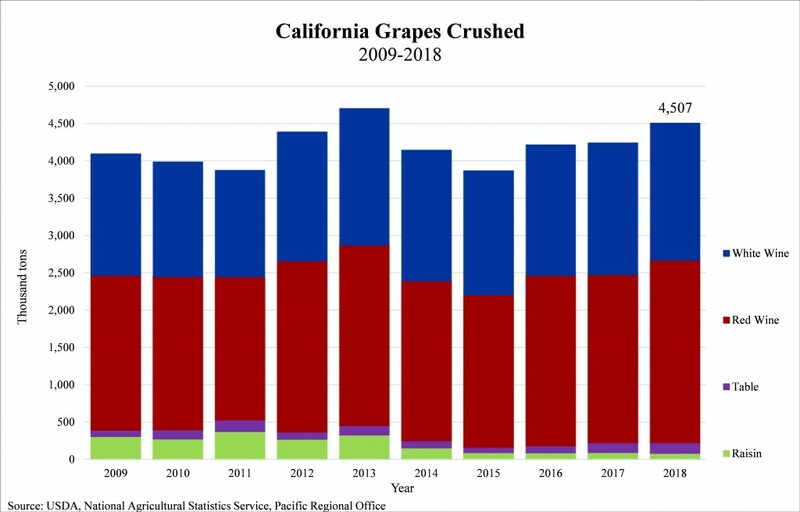 Last year: 2017 Grape Crush down a hair from 2016.